Kumarakom is a land of backwaters. 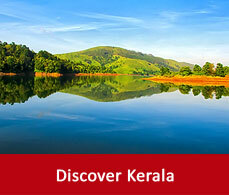 It is a cluster of islands situated on the shores of the Vembanad lake in the Kuttanad region. Kumarakom acts as a cage of various migratory birds as it is renowned for its bird sanctuary. Migratory birds like Siberian stok and wild duck, cuckoos, herons, egrets etc. all are nestled in the 14 acres spread sanctuary. It is a hub of bird lovers and ornithologists. 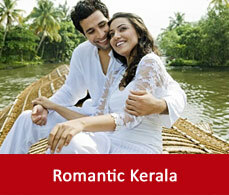 The Kumarakom tourism has arranged many facilities for the vacationers. Fishing and boating facilities are available for the tourists. On the embankments of the streams, shimmering under the clear blue sky many luxurious resorts and hotels have build up their construction to give ultimate retreat to their tourists. Many tourists packages The mangrove forests in the distance calls the migratory birds to adorn the beauty of Kumarakom more. The coconut trees standing upright on the banks of the lake recreates the air of Kumarakom and arouse a refreshing soul inside you. This is a honeymooner’s place as spending the life’s best moments in the Kumarakom boathouses on the enchanting backwaters gives your fate a good start towards its journey. Every year millions of tourists visit this place. It is a refreshing and a delightable stop over for the tourists. 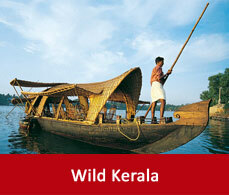 National geographic magazine has rated Kumarakom as the must see places on Earth.